California could retire 28 natural gas plants without impacting electricity reliability, the Union of Concern Scientists said in a report published Tuesday. 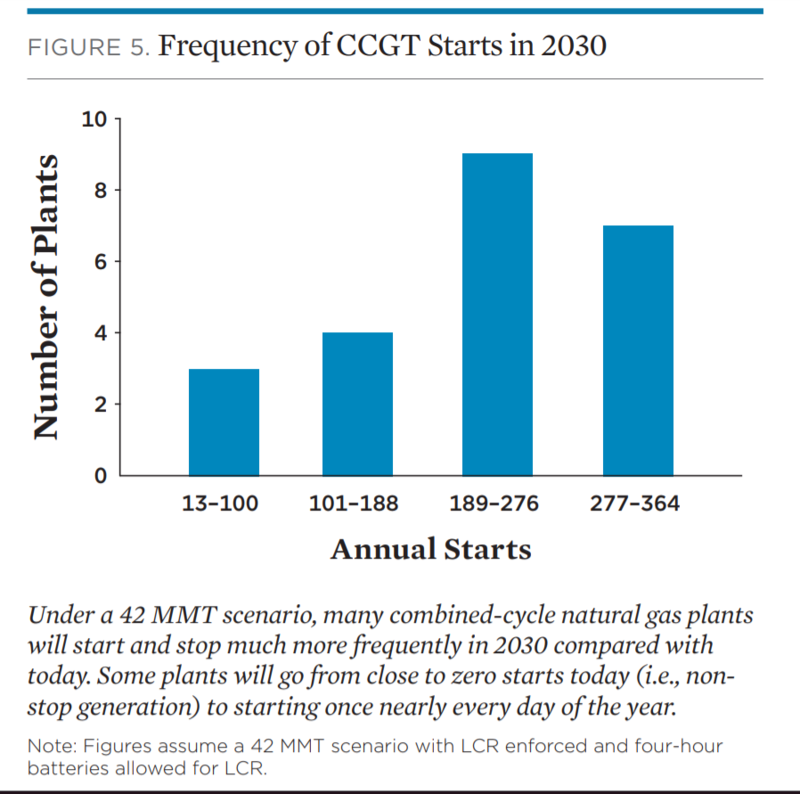 In order to meet the California Public Utilities Commission's (CPUC) target to reduce carbon to 42 million metric tons (MMT) by 2030 in the most economic way possible, the UCS model chose not to build any new gas plants to replace less efficient combined-cycle gas turbines. The California Independent System Operator (CAISO) market currently has 89 gas plants, but not all of them are providing local capacity requirements. The 28 plants selected by the model were "dead weight," providing system capacity that other resources could "easily" supply, said Laura Wisland, the report's author. California is a state leader in climate policies, but some officials worry if it can meet its own ambitious goals. Last month, the California Air Resources Board released an assessment of greenhouse gas emissions, showing that while the state is two years ahead of schedule on its goals today, future targets may not be so easy to hit. Earlier this year, the CPUC adopted a portfolio of energy resources which includes adding approximately 10,200 MW of new renewable energy resources and 2,000 MW of new battery storage resources by 2030. "If you're gonna be installing storage anyway, you should be thinking about installing it in strategic locations so that it also can provide local capacity, because that helps us reduce our reliance on other stuff that's providing local capacity, namely gas," Wisland told Utility Dive. California's large investor-owned utilities have already been looking to energy storage to replace gas. Pacific Gas and Electric (PG&E) requested approval from CPUC in June for four energy storage projects totaling about 2,270 MWh to replace three Calpine gas plants. The report directs utilities to make more investments in efforts to shift demand to daytime hours, battery storage, energy efficiency, diverse renewable generation technologies and clean energy. The UCS model forced even more energy storage into the system than what would be required under California's energy procurement storage mandate in a more extreme pollution curbing scenario, where the state achieved 30 MMT of carbon by 2030. "One of the big takeaways is if we go even faster with storage or other clean technologies that can provide the same services as storage, we can retire even more gas plants," Wisland said. However, while carbon emissions would be on the decline in that scenario, the model showed that the remaining gas plants might have to start and stop a lot more frequently to integrate renewables into the system, which increases the emissions of nitrogen oxide. This year, some gas plants in the California market may not have to stop and restart at all, but that could change as more intermittent generation comes on the system. UCS supports a state legislative effort, S.B. 64, to increase transparency of the hourly emissions information from the startups and shutdowns of plants in order to verify "whether the existing and remaining gas plants on the system in the future are cycling more often," Wisland said. In order to help curb any additional potential nitrogen oxide pollution, the UCS report also identified regulatory solutions to reduce the need to restart plants and hasten their retirement.